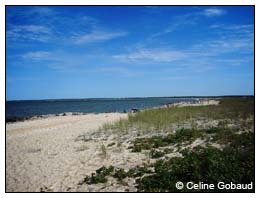 The Jewel of New England sits a mere 5 miles off the southern coast of Massachusetts. With a rich history, thriving culture, and miles of seemingly endless beaches, it’s no question why Martha’s Vineyard is such a popular destination. It’s hard to list them all, but MVOL presents this handy summary of the major island attractions. “It’s only an Island when you view it from the water,” goes the saying from Jaws’ Chief Brody, and when you’re coming over on the ferry you’ll surely notice the miles of shoreline. The beaches are great, water temperatures usually peak in August. Unfortunately not all of the shoreline is public. Some up-island beaches are exclusively for town residents & guests, others are completely off limits. But, there are plenty of public beaches for your enjoyment. Click here for a comprehensive list / map of island beaches. The Gay Head & East Chop Lighthouses recently turned 150 years old and 130 years old, respectively. These represent two of a total of five lighthouses scattered along the Vineyard and Nantucket sounds. All are fully functional and meticulously maintained. Tours are available. 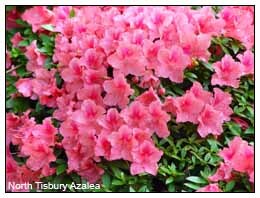 For more information, visiting the Martha’s Vineyard Museum. Nestled within the heart of Oak Bluffs are over 180 small cottages that make up the “Campgrounds.” Evolved from tents & mail-order catalogues, these cottages represent a completely different era and are preserved by private owners and the Martha’s Vineyard Campmeeting Association. 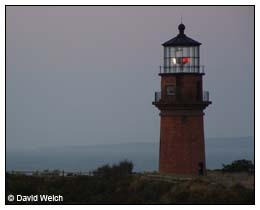 For information regarding the Martha’s Vineyard Campmeeting Association call 508-693-0525 or visit www.mvcma.org. 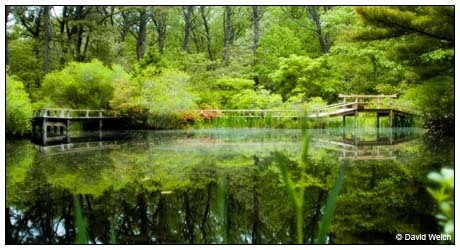 This wonderfully designed Japanese-Style garden is peacefully located within the pine forest of Chappaquiddick. Walking through the property is a vacation within your vacation and is not to be missed. The Mytoi Garden is easy to reach when on bike-friendly Chappaquiddick. For more information click here or contact 508-627-7689. It is the seat of Dukes County and the largest town on Martha’s Vineyard. Get lost on its picturesque streets and drift away to the age of Whaling Captains & nautical legends. Stand at the steps and marvel the dominating Whaling Church, shop unique boutiques and dine on world class cuisine. Edgartown has it all. A trip up-island to Chilmark and Aquinnah is a must and the scenery sells itself. Escape the crowds and take a trip along North, Middle, or South Roads through West Tisbury and Chilmark and take in all the rural delights and perhaps the finest scenery in New England. The boundary-marking stonewalls, rolling hills and sea views will no doubt take your breath away.